This art gallery is for BVAA member Carol Arnold. 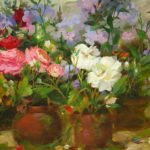 Carol was first inspired to become a painter when as a child she became fascinated by the plein air painters her family encountered on vacations in seaside Gloucester, Massachusetts. 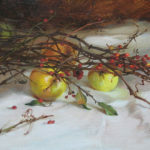 After graduating from Vesper George School of art in Boston, Arnold spent several years working in the commercial art field before turning her attention fully to fine art painting. 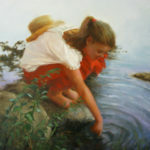 She is currently a member of Richard Schmid and Nancy Guzik’s Putney Painters located in Putney, Vermont. 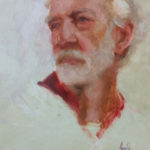 Arnold’s work, executed primarily from life, has been steadily winning recognition, including taking the First Honor award at the Inspiring Figures Exhibition at the Butler Institute of American Art in October of 2010. 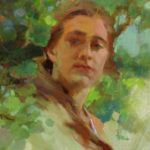 She won an Honorable Mention at the Portrait Society of America’s Members only competition in December of 2010, in April of 2011 she was awarded a Certificate of Excellence at the Portrait Society of America’s International Portrait Competition and another Certificate of Excellence award in May of 2012. 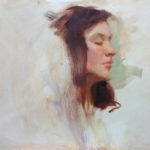 In 2015 and 2016 Carol was a part of the faculty for the Portrait Society’s annual conference where she taught a figure drawing workshop with Max Ginsburg along with many other tasks. This past fall, she was juried into the first annual Cape Ann Plein Air Event held in Cape Ann, Massachusetts where she spent an inspiring week painting on the shores of Gloucester, Rockport, Manchester by the Sea and Essex, with about 40 other plein air painters.